Dinulica F, Marcu V, Borz SA, Vasilescu M-M, Petritan IC (2016). Wind contribution to yearly silver fir (Abies alba Mill.) compression wood development in the Romanian Carpathians. iForest 9: 927-936. Since the 1950s, wind has represented one of the main disturbances to forest ecosystems in Europe, causing an increase in the frequency and amount of trees uprooted or broken by wind. Such phenomenon has also increased the incidence of compression wood in the xylem of remnant trees, thus leading to a general decrease in timber quality. In this study, we aimed to determine how wind regime affects the incidence of compression wood by reconstructing its chronology at both inter- and intra-annual scale using dendroclimatic methods. Six silver fir stands at different elevations were selected in central Romania, and compression wood time series were obtained from both increment cores from standing trees and radial discs from felled trees. Wood-structure variables were statistically analyzed as time series, while fluctuations of wind frequency and speed over the period 1921-present were reconstructed based on meteorological data. The structural response of sampled trees to wind was assessed based on the annual fluctuation in the frequency and intensity of compression wood. Results showed that the incidence of compression wood in the time series was synchronized with the intensity of the wind, rather than its duration. Wind regime in December of the preceding calendar year was significantly correlated with the frequency of compression wood, whereas its intensity was significantly correlated with wind load of previous September. The response of cambium to the wind stimulus increased with distance from the tree collar, peaking in the section at the base of the crown. At a decennial scale, only high-intensity wind stress triggered structural responses in the studied trees. Wind effects on xylogenesis in the analyzed stands increased over the last decades as a consequence of the local forest management. A better understanding of the structural response of forest trees to wind regime may explain how individual and groups of trees compete for stability and can help to improve forest management strategies in windy regions. Time series analysis: forecasting and control. John Wiley and Sons, Hoboken, New Jersey, USA, pp. 784. Dendrogeomorphology and high-magnitude snow avalanches: a review and case study. Natural Hazards and Earth System Sciences 8: 303-309. Spatiotemporal growth dynamics and disturbances in a subalpine spruce forest in the Alps: a dendroecological reconstruction. Canadian Journal of Forest Research 26: 991-1001. Data analysis. In: “Methods of Dendrocronology” (Cook ER, Kairiukstis E eds). Kluwer Academic Publishers, Dordrecht, Boston, London, UK, pp. 97-162. Uncertainty, emergence and statistics in dendrocronology. In: “Dendroclimatology. Progress and Prospects” (Hughes MK, Swetnam TS, Diaz HF eds). Springer Science+Business Media B.V., Dordrecht, Netherlands, pp.77-112. Root architecture and tree stability. Plant and Soil 71: 171-188. Variation in wood characteristics of 20-year-old half-sib families of Pinus radiata. New Zealand Journal of Forest Science 22 (1): 63-76. An overview of the biology of reaction wood formation. Journal of Integrative Plant Biology 49: 131-143. Compression wood formation and pith eccentricity in Picea abies L. depending on the selected site-factors: detection of compression wood by its spectral properties in reflected light. In: Proceedings of the DendroSymposium 2004 “TRACE - Tree Rings in Archaeology, Climatology and Ecology, Vol. 3” (Gärtner H, Esper J, Schleser G eds). Birmensdorf (Switzerland) 22-24 Apr 2004. Schriften des Forschungszentrums Jülich, Reihe Umwelt 53: 150-158. Cross-sectional compression wood distribution and its relation to eccentric radial growth in Picea abies Karst. Dendrochronologia 26: 195-202. The aerodynamics and hydrodinamics of plants. Journal of Experimental Biology 202: 3281-3284. Compression wood in conifers. The characterisation of its formation and its relevance to timber quality. QLK5-CT-2001-00177 Final report, pp. 379. The climate near the ground. Rowman and Littlefield Publishers Inc., Lanham Boulder, New York, USA, pp. 91-100. Dendrotempestology and the isotropic record of tropical cyclones in tree rings of the Southeastern Unites States. In: “Tree Ring and Natural Hazards. A State-of-the-Art” (Stoffel M, Bollschweiler M, Butler DR, Luckman BH eds). Springer, Dordrecht, Heidelberg, London, New York, pp. 291-304. Temporal dynamic of wood formation in Pinus cembra along the alpine treeline ecotone and the effect of climate variables. Trees 23: 623-635. Shrinkage and density of radiata pine compression wood in relation to its anatomy and mode of formation. New Zeeland Journal of Forest Science 7 (1): 91-106. Uneven-aged silviculture. In: “Encyclopedia of Forest Sciences” (Burley J, Evans J, Youngquist JA eds). Elsevier Ltd., Oxford, UK, pp. 1073-1077. Growth control in woody plants. Academic Press, London, UK, pp. 383. A study of compression wood in Scots pine (Pinus sylvestris L.). Forestry 37: 179-201. The atmosphere. An introduction to meteorology (12th edn). Prentice Hall, New Jersey, USA, pp. 528. A review of the effects of silviculture on timber quality of Sitka spruce. Forestry 75: 107-138. Characterization and expression analysis under bending and other abiotic factors of PtaZFP2, a poplar gene encoding a Cys2/His2 zinc finger protein. Tree Physiology 29: 125-136. Reactive oxygen species activation of plant Ca2+ channels. Signaling mechanisms in polar growth, hormone transduction, stress signaling, and hypothetically mechanotransduction. Plant Physiology 135: 702-708. Dendroecological analysis of the influence of strong winds and snow accumulation on the growth of trees at the treeline in Vitosha Mountain, Bulgaria. In: Proceedings of the DendroSymposium 2005 “TRACE - Tree Rings in Archaeology, Climatology and Ecology, Vol. 4” (Heinrich I, Gärtner H, Monbaron M, Schleser G eds). Fribourg (Switzerland) 21-23 Apr 2005. Schriften des Forschungszentrums Jülich, Reihe Umwelt 61: 165-174. Compression wood records hurricane. Journal of Forestry 29: 575-578. Plant biomechanics in a ecological context. American Journal of Botany 93: 1546-1565. Directionality of compression wood in balsam fir wave forest trees. Canadian Journal of Forest Research 20 (8): 1143-1148. Natural disturbances in the European forests in the 19th and 20th centuries. Global Change Biology 9: 1620-1633. Wood structure and environment. Springer-Verlag, Berlin Heidelberg New York, pp. 279. Relationship between degree of compression wood development and specific gravity and tracheid characteristics in loblolly pine (Pinus taeda L.). Holzforschung 22: 185-190. Hanbook of parametric and nonparametric statistical procedures (3rd edn). Chapman&Hall/CRC, Boca Raton, London, New York, Washington, pp. 1182. 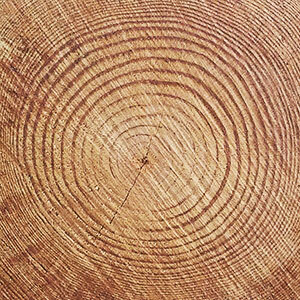 Tree-ring analysis in natural hazards research - an overview. Natural Hazards Earth System Science 8: 187-202. Multiple roles for membrane-associated protein trafficking and signaling in gravitropism. Frontiers in Plant Science 3: 274. Structure and function of flexure wood in Abies fraseri. Tree Physiology 5: 113-121. Compression wood in Gymnosperms. Springer Verlag, Berlin Heidelberg New York, pp. 2150. Why do trees decline or dieback after a strong wind? Water status of Hinoki cypress standing after typhoon. Tree Physiology 24: 701-706. Prevalence and effects of knots in young loblolly pine. Forest Products Journal 18: 97-103. Effects of reaction wood on the performance of wood and wood-based products. In: “The biology of reaction wood” (Gardiner B, Barnett J, Saranpää P, Gril J eds). Springer Verlag, Berlin-Heidelberg, Germany, pp. 225-274. WinDENDROTM2006 for tree-ring analysis. Manual of exploitation. Régent Instruments Inc., Québec City, Canada, pp. 133. World reference base for soil resources. World Soil Resources 84, FAO, Rome, Italy, pp. 88. Some structural and evolutionary aspects of compression wood tracheids. Wood and Fiber Science 19: 343-352. Utilisation of 25-year-old Pinus radiata. Part 1: wood properties. New Zealand Journal of Forestry Science 21 (2-3): 217-227. Influence of clear-cutting on the risk of wind damage at forest edges. Forest Ecology and Management 203: 77-88. The dynamics of mountain mixed forest under wind disturbances in the Tatra Mountains, central Europe - a dendrochronlogical reconstruction. Canadian Journal of Forest Research 39 (11): 2215-2223.